CODUB2 Countdown in Dublin 10th September 2016. Eddy says… “Based on the success of last year’s event, CoDub will take place again this year on Saturday 10th September, in the upstairs room of The Old Punchbowl pub in Booterstown. It’s right beside the train station in Booterstown, which is well served by buses going to and from Dublin City, just 15 minutes away. It’s advisable to think about booking hotels and flights soon, as they’ll rise in price as time goes on. The final should start by 5pm, with the day ending by 6pm. After 3 heats, players will be divided into groups of 8, and finals of each group will happen as like the show, with the top 2 playing each other in the final of the tournament, which will be the showpiece of the day. Prizegiving will take place after that. Players of all abilities are welcome! SIGN UP: Entry will be €20 per person, which will also include food in the middle of the day. This can be paid via PayPal, using the address edburn07@gmail.com. If you wish to pay in an alternative way please email focalcountdown@gmail.com or you can ring me on +353872582394. Last edited by Edward Byrne on Thu Sep 08, 2016 10:50 am, edited 19 times in total. Re: CODUB2 Countdown in Dublin 10th September 2016. I have looked at flights to Dublin for this event and they seem to have gone up astronomically from last year. For this reason, unfortunately, I think I'm out of this one. Anthony Endsor wrote: I have looked at flights to Dublin for this event and they seem to have gone up astronomically from last year. I think I've read before that flights are at their cheapest 3-4 months before departure, so might be worth checking again in a couple of months. Ah well, I'll be back in 2017!!! I have done a bit of research and found that dates for June and July are currently about the same price I paid last year so it looks like it might be worth waiting a few weeks. I always thought the only way was up for prices once the flights were released but it seems that may not necessarily be the case. 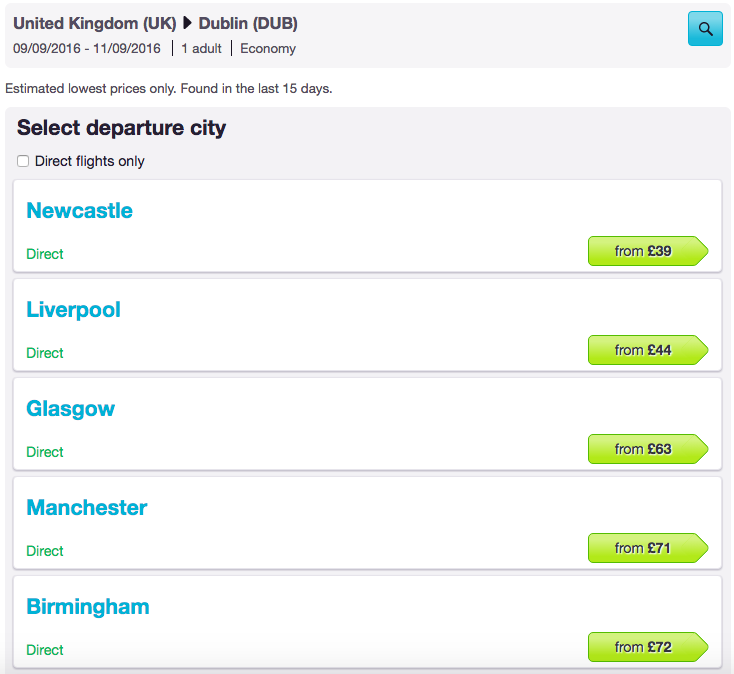 Return flights for under £50 would be great Mark as last year I got a return for £45 with Aer Lingus. 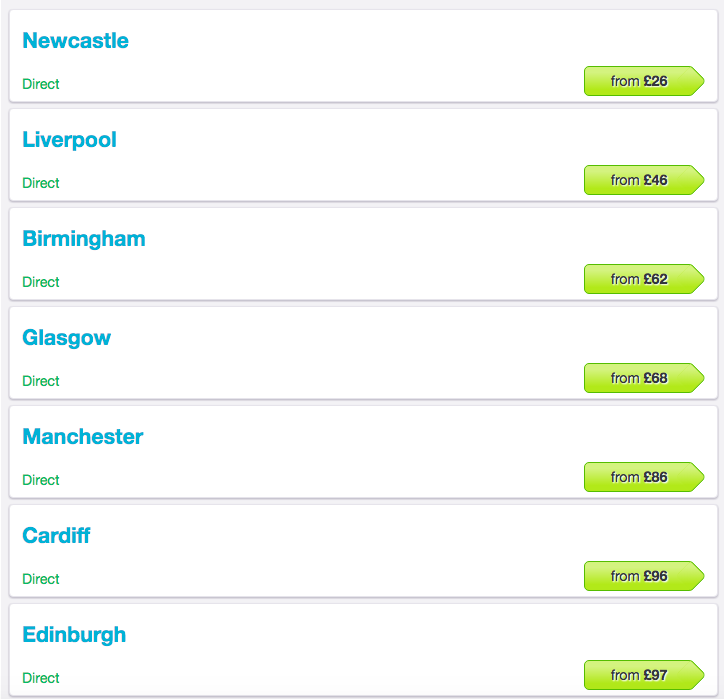 Cheapest prices up to now though for September are around £77. Location: The Series 72 Runner Up, Cat Lady that lives my with two cats Torti and Ginge. May consider this one but unfortunately I will back at college doing GCSEs I will let you know whether I can attend or not. would be great to have you Tracey, it may start just before the college term? I am not back until the week following this event. We're up to 10 people now. If you want to make sure of your place please send me your money. [quote="Edward Byrne"]Based on the success of last years event Co.Dublin will take place again this year on Saturday 10th September in the upstairs room in The Old Punchbowl pub in Booterstown. It is right beside the train station in Booterstown and is well served by buses going to and from Dublin City. Just 15 minutes from Dublin. It would be advisable to think about booking hotels and flights soon as they will rise in price as time goes on. Doors will be open at 9am with a 10am start time. We shall stop for lunch for an hour at some point. The final should start by 5pm with the day ending by 6pm. Each Player is guaranteed to play 6 games during the day. It will most likely be 6 15 rounders again. After 3 heats, players will be divided into groups of 8, and finals of each group will happen as like the show, with the top 2 playing each other in the final of the tournament, which will be the showpiece of the day. Prize giving will take place after that. Players of all abilities are welcome. Will again be hosted by Edward Byrne and Rose Boyle. This event will be part of the FOCAL countdown events league. for more information on this go to http://focalcountdown.co.uk/ Entry will be €20 per person, this will also include food in the middle of the day. This can be paid via paypal, my address on this being, edburn07@gmail.com . If you wish to pay in an alternative way please message me. You can ring me on +353872582394 . Afterwards we have hired a room downstairs which includes a pool table and a darts board. It promises to be a great weekend which you dont want to miss!! We are up to 17 now, with Series 64 champion Ed McCullagh, it would be great if more of the irish apterous contingent signed up, so please get in touch soon, 1 month to go today! People of all abilities welcome, tell your friends, tell your family, bring your cats and dogs! Not my best year for Co Events. Is there a prize for the most chequered Co event track record of the year? Ah, but Anthony, you were at the very first COLIN all those years ago and no-one can take that away from you, and you're still doing it now. That's some staying power, which is far more important than winning if you ask me. Deadline to sign up for this is today - get paying up! With 31 paid up attendees, this is shaping up to be the fourth most attended event of the year (46 for Lincoln and MK, 36 for Bristol) - can you make it the third best attended? There's a bus strike going on today and tomorrow in Dublin, just so you all know. Really enjoyed this event. Thanks to Eddy and Rose for running it and doing such a great job, and to everyone who came and made it such an enjoyable event. And congratulations to Edward McCullagh for winning it.